It’s a typically subdued mid-month economic calendar, but it’s not without enough potentially market moving events to keep us interested. So we’ll keep it short. As always, Asia’s reaction to the monthly US jobs reports on (usually) the first Friday of the month is delayed until Monday. Europe too may yet register a more considered reaction after Friday’s big jump higher, because Europe has only a few hours to respond to the report. 2. EU Developments: Italy Political Picture, Etc. While timing is unclear, Italy’s uncertain political picture is likely to prompt a few more scares before it settles down. Don’t forget ongoing political uncertainty in Spain, along with its overall abysmal economic and political state, ditto for the rest of the GIIPS block. Also, remember that spring is approaching, which means a fourth annual spring Greek debt crisis, right? After last week’s big monthly jobs reports beat, the US retail sales can confirm or neutralize the bullish impact of the latest bullish monthly jobs picture. Rising employment is of lesser significance if it doesn’t translate into greater consumer spending, because that spending in turn then generates new jobs and tax receipts and feed a virtuous cycle of spending-fueled growth for the world’s largest economy, for which consumer spending is ~70% of GDP. The other really important data is the US inflation reports. As long as official inflation remain low, that allows the Fed to proceed with QE 3 ‘guilt free,’ and without worries of the feared inflation that’s risked the Fed’s extreme easing and money printing. With the exception of China, Germany, and the US, most of the economic data from the key largest economies (whose data can truly move global markets), has been awful. We refer specifically to the EZ and Japan. As long as inflation stays quiet and there are no other impediments to continued QE3 while the US economy remains weak, the steady stream of data showing deterioration in the EZ and Japan won’t be so critical to markets. It’s clear to all that except for China, Germany, and to a lesser extent the US and Canada, most of the economies that matter are not doing well. However as long as stimulus keeps coming, low rates and abundant cash continue to force feed cash into risk assets. If however, inflation, the EU, or US budget battles start to drain away confidence, then the negative data starts to matter more. With markets at decade highs, any sign that stimulus is no longer able to prop up asset prices could well spark profit taking. As noted in here, low rates have encouraged investors to buy stocks on margin (borrowed funds). That means any sustained selling carries a high risk of igniting margin call driven selling, which can quickly become a self-perpetuating downward spiral as more selling prompts more margin call driven selling. This might be market moving if it confirms surprisingly good or bad retail sales reports. Sentiment reports like this are significant only if they accurately follow actual spending. Therefore if retail sales is not as bullish as Friday’s jobs reports, all the upbeat sentiment in the world will only be of limited value because consumer sentiment is relevant only if it confirms actual spending. Greed (or risk appetite) based on the belief that current stimulus from the Fed, and more coming from the central banks of Japan, Europe, and the UK, will continue to drive risk asset prices higher. Complacency about renewed solvency risks in the EU and recession risks in the US from the sequester. Markets continue to believe that not only can stimulus prop up asset prices a while longer, it can continue to defer eventual defaults in the GIIPS block, Japan, or anywhere else where there is just too much debt to pay off, yet leaders feel they cannot allow a default out of fear of another systemic risk crises like that of the Lehman Brothers collapse. 10. The thus far irresistible force of entrenched upward momentum supported by both #7 and #8 above. As you read the endless articles about the 10 best dividend/growth/undervalued/under the radar/ etc stocks to own, don’t forget that the last two times markets were this high, in 2000 and 2007, those who bought didn’t do well. That doesn’t mean you can’t go long, just do so with open eyes and stop loss orders in place. The four most widely held major currencies, the USD, EUR, JPY, and GBP are all either being actively devalued or at high risk of debasement in the near future. That means you now need to diversify your assets and income stream by currency exposure as well as by asset and sector class. Just because you spend in one currency doesn’t mean you’re at all insulated from its loss of purchasing power. See here for what has happened those holding US dollars over the past decades. There are safe, simple ways to protect yourself from getting dragged down with these currencies. 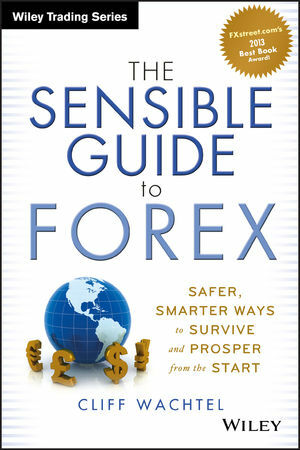 See here or here, or just search “The Sensible Guide To Forex” in your browser for an award-winning collection of solutions for the risk averse trader or passive income investor seeking to build an income stream that holds its value. Finally, pay attention to the US dollar. It’s been behaving out of character, and that could have significant ramifications for investors and traders of virtually all asset types. See here for details.